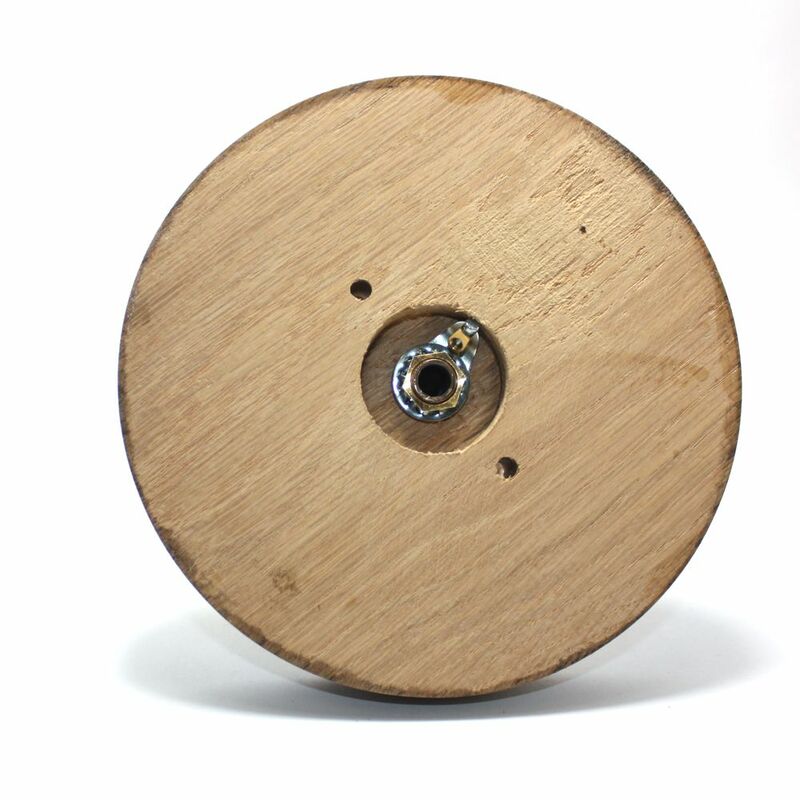 Sorry, this item is currently out of stock and will be re-stocked shortly. 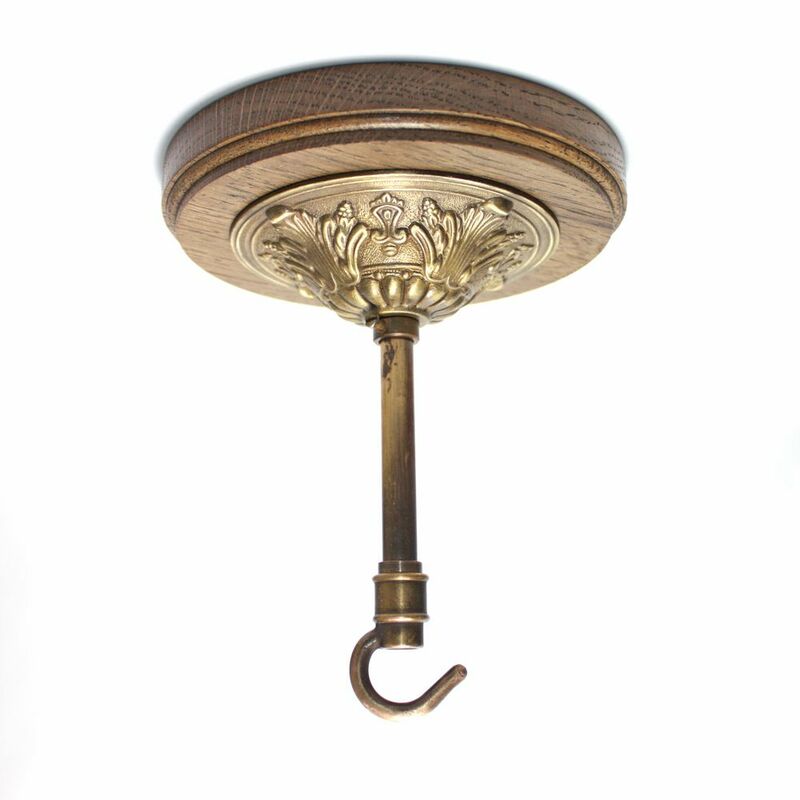 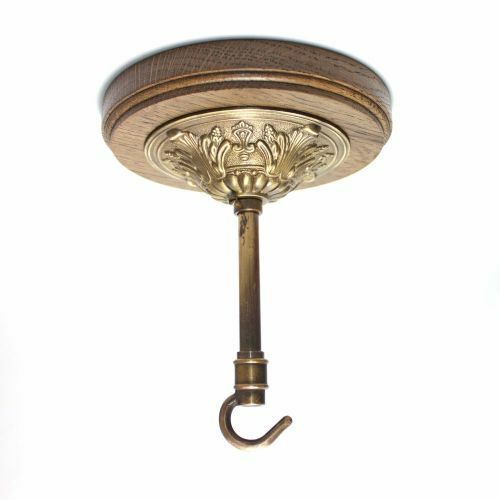 A nice circular pattress with a solid brass decorative cover and drop rod & hook in an antique finish. 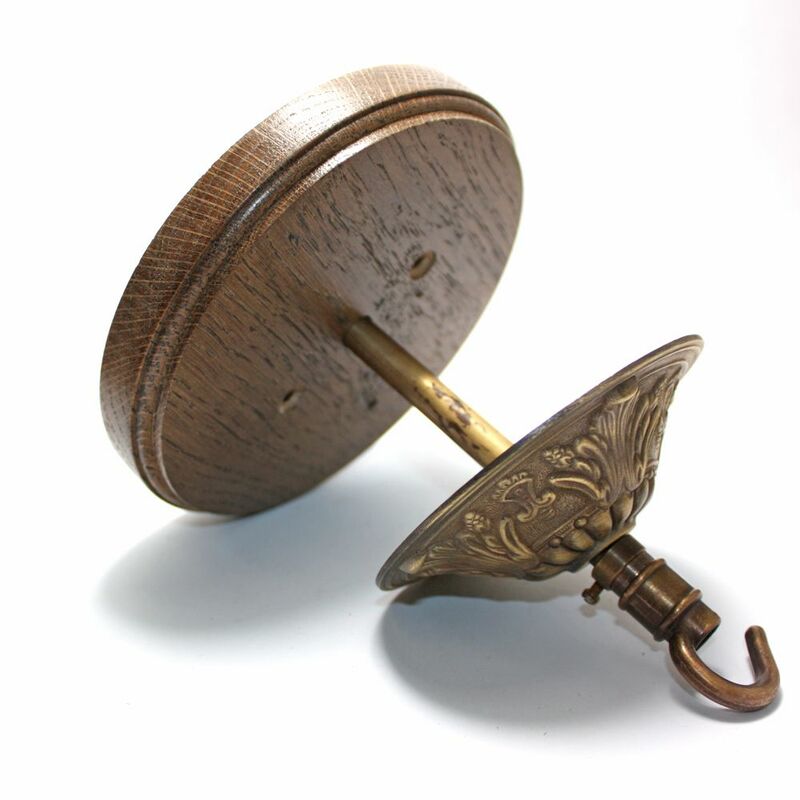 Pattress is hand made from Oak, sanded smooth, sealed and varnished.